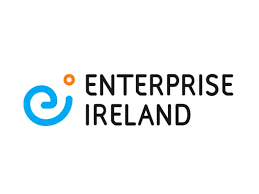 HONG KONG, 25 OCTOBER 2018 – Enterprise Ireland, the second largest investor in fintech companies in the world by deal count, will showcase the capabilities of Ireland’s fintech sector at Hong Kong FinTech Week. This is the first time that Enterprise Ireland, the Irish Government’s trade and innovation agency and the third-largest VC in Europe by deal count will participate in Hong Kong FinTech Week, happening in Hong Kong and Shenzhen between 29 October – 2 November 2018. As a global hub for finance, technology and investor activity, Ireland is a hotbed of fintech innovation, helping the industry respond to challenges and opportunities from the digitisation of banking to new payments models and ever-changing compliance requirements. With a portfolio of over 200 fintech and financial services companies, with a combined revenue of over €1 billion, Enterprise Ireland is Europe’s biggest fintech investor, investing in over 80 fintech companies in the last five years, including investments in 23 fintech start-ups last year alone. Three Irish fintech companies – Know Your Customer, Financial Risk Solutions and Global Shares – have entered the Hong Kong market in 2018 alone with many more Irish fintech companies are looking to enter Asia over the next few months. The #IrishAdvantage brand will debut in the region at Hong Kong FinTech Week, with 11 Irish fintech companies showcasing their innovations under this banner, including; Circit, Corlytics, CurrencyFair, Daon, Fenergo, Fineos, Global Shares, Intuition, Know Your Customer, Priviti and Solgari. The Irish companies represent fintech areas including regtech, Payments, Banking, insurtech, Cloud Communications and Biometrics. The trade delegation is led by Irish Minister for Business, Enterprise and Innovation, Heather Humphreys and Enterprise Ireland CEO Julie Sinnamon, and follows a visit by the Hong Kong Government to Ireland in May this year to create opportunities between Hong Kong and Ireland’s financial services hubs. The Hong Kong Government delegation to Ireland earlier this year was led by the Honourable Paul Chan Mo-Po, Financial Secretary, the Government of the Hong Kong Special Administrative Region. The mission will be present at Hong Kong FinTech Week (Stand C04). Minister Heather Humphreys as well as Enterprise Ireland CEO Julie Sinnamon will also be involved in the event through launch events and deal announcements which will further highlight the benefits of collaboration between Irish and Hong Kong companies in the Financial Services sector. Minister Humphreys will address the Hong Kong FinTech Week conference on Thursday, 1st November on the Hong Kong Stage at 13:55. In addition to participating in Hong King FinTech Week, the Irish trade delegation will also be participating in the China International Import Expo (CIIE) happening in Shanghai on 5-10 November 2018.